The Merchants’ 12 days of Christmas recently ended as we celebrate Christmas today. For the rest of us we can now begin celebrating the true twelve days of Christmas (they really do begin today)! In 2011 I began my “Twelve Days of a Green Christmas” as an entertaining way of sharing ideas for energy-efficiency and sustainability. Not only do I want to share some money-saving ideas, my hopes are for you to learn something new about reducing your energy usage and saving money. So if you are ready to join me this year just recall the tune and sing each verse as we progress through the twelve days! Contrary to what Retailers want you to believe the twelve days of Christmas begins on Christmas Day (the 25th) and ends on the sixth of January with the Feast of the Epiphany celebrated on the Twelfth Night, according to Wikipedia. Every country has its’ traditions for celebrating the Epiphany. Here in the US, you have probably heard about preparing “Kings’ Cakes” leading up to Mardi Gras in New Orleans, the “Great Fruitcake Toss” in Manitou Springs, Colorado, which ended in 2013 and the elaborate celebration with the tossing of the wooden cross into the Spring Bayou in Tarpon Springs, Florida. What a history lesson, especially on Christmas Day! 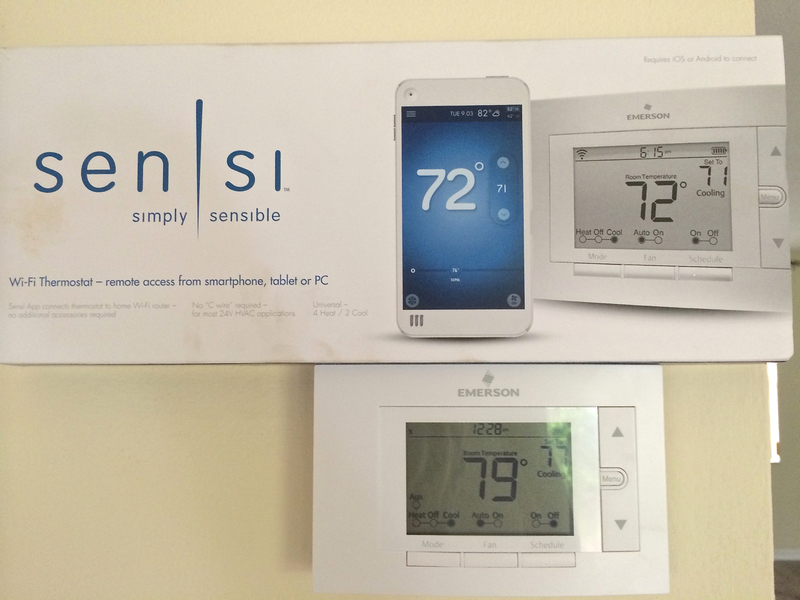 …On the first day of Christmas, my green friend gave to me….a smart thermostat. Earlier this year my HVAC system finally died after numerous repairs and high electric bills. 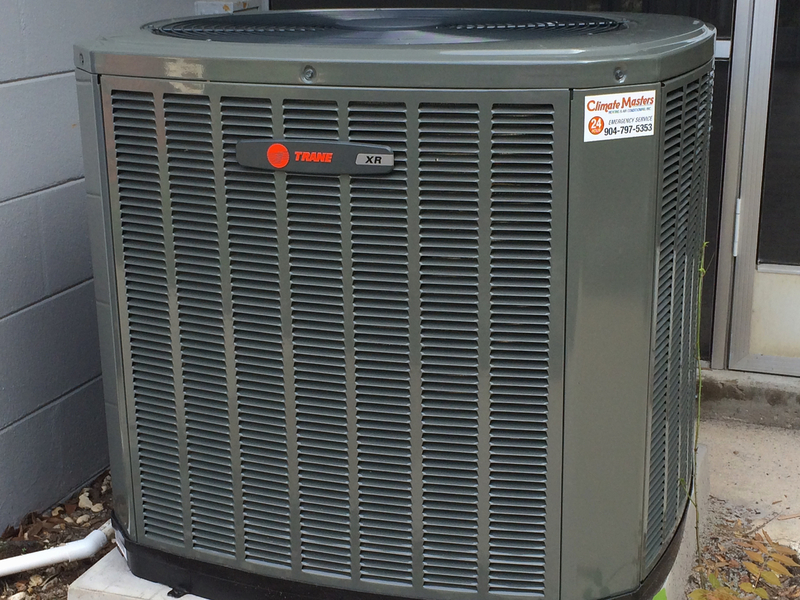 I spent some time researching and getting quotes on new systems and decided on a variable speed 15 SEER (seasonal energy-efficiency rating) Trane heat pump. While my county only mandates 14 SEER units for new homes I decided to spend a couple hundred dollars more and invest in the 15 SEER for even better efficiency and lower electric bills. Besides I knew I was planning on selling the house in the not-too-distant future and there was a healthy energy-rebate from FPL! The old 10 or 11 SEER heat pump was a money guzzler and louder than a train! The new one is so quiet it’s ideal! With that new heat pump came a wi-fi capable, smart thermostat. Thinking that was more than what I needed or could figure out I forgot about it and used it in the manual mode for a couple months. My house was comfortable and my utility bills dropped 50% but then I decided to get “smart” and set up the wi-fi part of the thermostat which would allow me more functions. I was absolutely amazed at what this thermostat can do. I had a choice of programming the schedules or letting my thermostat “learn” my schedule with 3 main choices, “home”, “away” and “vacation”. That was pretty cool! Adjusting the humidity inside is also a bonus as well as seeing what the outside temperature is when I’m ready to go for my walk. If you are plagued with allergies you can also set the air cleaner to “allergy” mode which performs a “deep” cleaning of the air every 24 hours otherwise it is on auto or you can select “quick” like for times when I burn popcorn or toast 🙂 I also love the ability for my system to automatically switch from cooling to heating or vice versa. This certainly has been worth its’ weight in gold these past several weeks when the nights are cooler and the days are in the 70’s! The “icing on the cake” was when I downloaded the free app for my thermostat which allows me to monitor the system on my phone or computer! For less than $10 I can hook up another device (up to 5 devices), like a camera so I can see what my dog is doing and be able to view the inside of my house on my phone or computer! I can also set up alerts to be notified if something out of the ordinary happens. Don’t think you have to buy a new heat pump system to have a smart thermostat. You can change your existing to one of these and probably extend the life of your current system and then already have one when it’s time for a new system. This wi-fi smart thermostat would also be great if you help with elderly parents or you have a vacation rental! I love my new smart thermostat and am so happy to have received this gift from my green friend! So ends the first verse of the “Twelve Days of a Green Christmas”. I hope you learned something new today and plan to join me tomorrow for the second day of the twelve days. If you have a smart thermostat let me know how you use it or any tips you can share with me in the comments below. ‹ PreviousTop 15 Green Builders In Florida To Be Recognized!